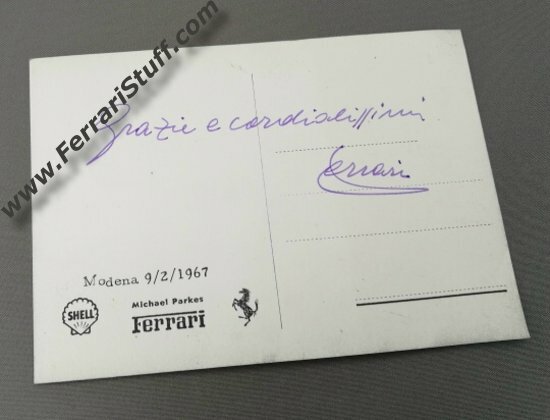 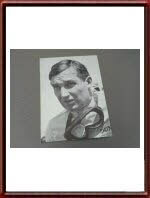 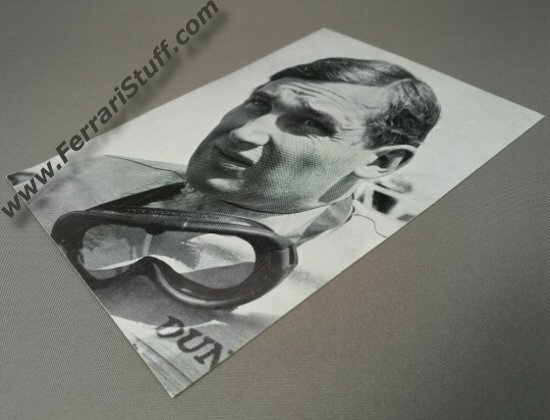 This is an official Ferrari factory issued postcard of Michael "Mike" Parkes that has been autographed by "The Drake", Enzo Ferrari, himself on May 12, 1963. 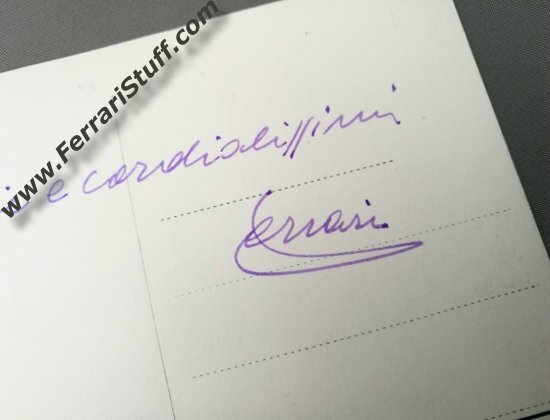 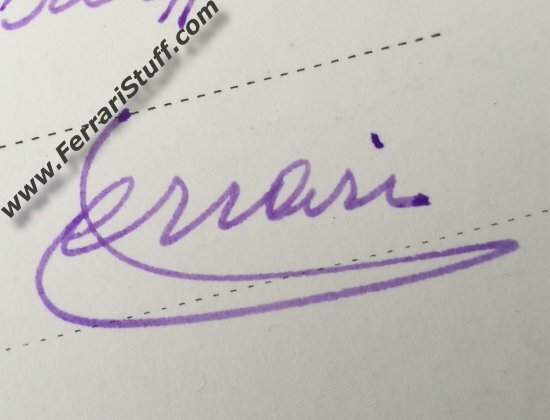 The handwritten text on the back reads "Grazie e cordialissimi" and is signed by Enzo in his characteristic violet ink. 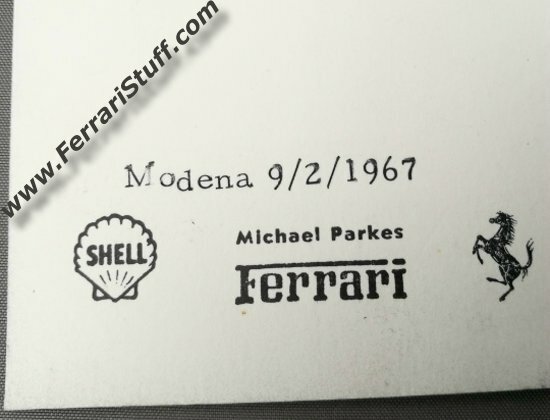 The type-written text in the bottom left corner dates the signature to February 9, 1967 with Modena as location. 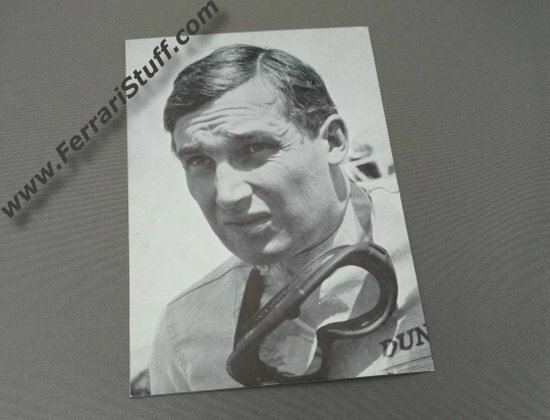 The card is in more than excellent, near-mint, condition considering its age.